So, we recently found out my husband has to eat wheat free. We’ve been on a 4 month journey to finding replacements for all our wheat-y foods! Sheesh, it’s been a trip for sure. 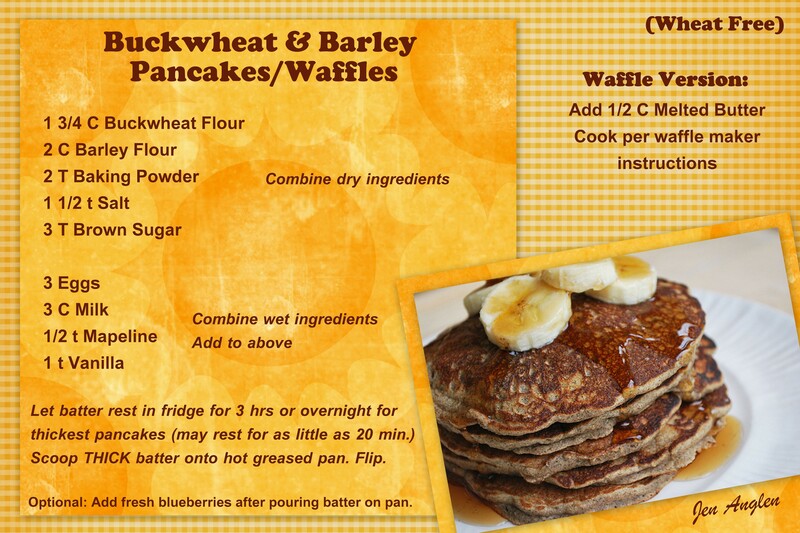 But we’ve found some favorites… like this Buckwheat & oat pancake recipe my husband invented after getting so fed up with all the nastyness of Gluten-Free “bread” stuffs. Seriously, rice flour!? Eeew. Besides, it’s not whole grain, and I wasn’t willing to start using white flours. So… we invented this pancake recipe! 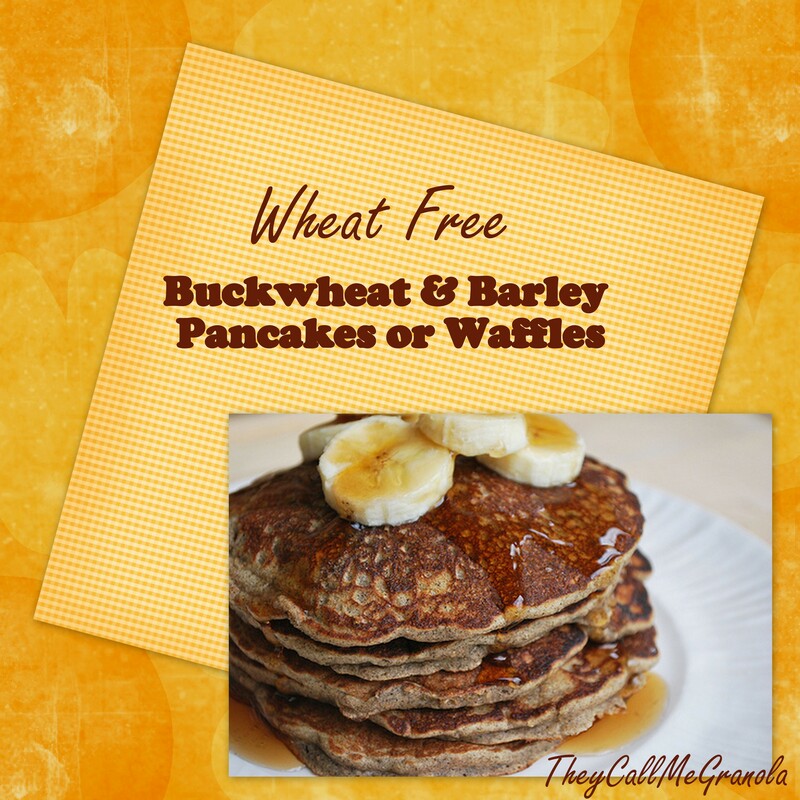 I hope you enjoy… we actually prefer it over the whole wheat pancakes we used to eat! UPDATE : Feel free to use whatever combination of flours you want… Sometimes I don’t use the buckwheat at all and just do barley and oat, or just plain oat! Also feel free to check out my pin boards for other Wheat Free Recipies!